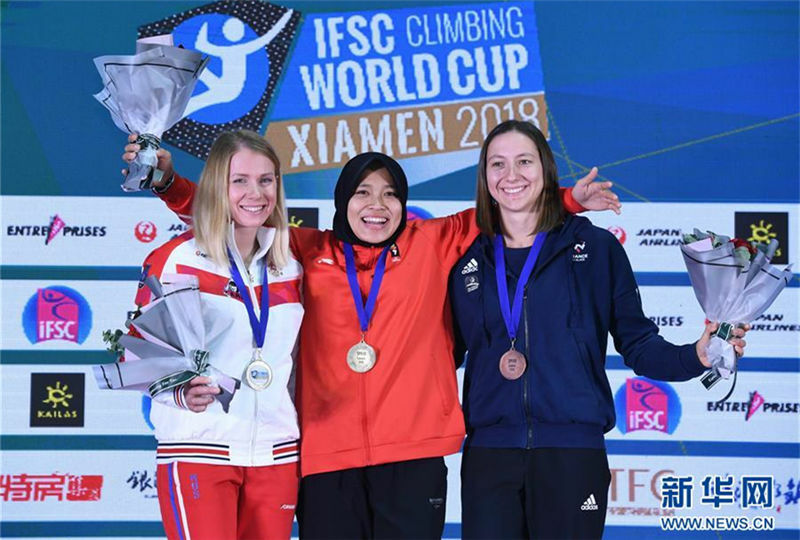 The International Federation of Sport Climbing World Cup 2018 closed in Xiamen, East China's Fujian province on Oct 28. The finale of this year's events, it attracted 112 top athletes from 22 countries and regions. The IFSC Climbing World Cup is a series of climbing competitions held annually and organized by the IFSC. Xiamen's world cup produced four single champions of men's and women's speed and lead competitions. The awarding ceremony for speed, lead and individual all-around champions of the year was held at the same time.